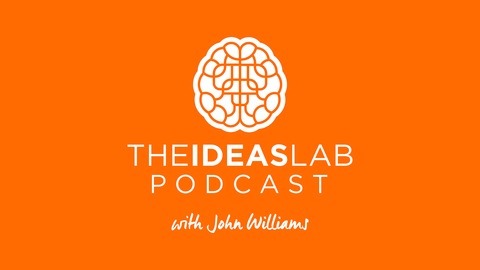 Welcome to the Ideas Lab Podcast, where you can learn from the world’s greatest creative and entrepreneurial minds to help you turn your ideas into original businesses, books and brands – because in a crowded world, it pays to stand out. Your host is John Williams, bestselling author of 'Screw Work Let’s Play' and 'Screw Work Break Free' and founder of The Ideas Lab London. Our focus is on the rebels, creatives and innovators with a new take on their topic that has allowed them to carve out a space that is all their own - from Saskia Nelson, the world's first dating profile photographer, to the New York Times bestselling author, Dan Pink exploding myths about productivity, to therapist Jerry Hyde taking his clients on a unique experience with plant medicines in Nepal. Subscribe now to get inspired, learn something new, and get ideas for your next creative project. 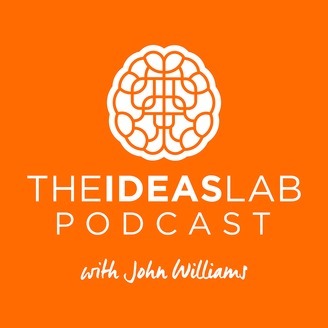 If you’d like to turn your passion for arts, crafts, jewellery or handmade goods into a real business then this episode of the Ideas Lab Podcast is for you. Harriet Kelsall made her first piece of jewellery when she was just 4 years old with her fathers help. Now in it's 20th year of creating bespoke jewellery, Harriet Kelsall Jewellery has over 40 staff, 3 locations and won over 20 awards. Harriet's passion for ethical jewellery has also lead to becoming chairperson of the National Association of Jewellers as well as being the first UK business to receive certification by the Responsible Jewellery Council. Harriet is also author of the book - The Creative’s Guide to Starting a Business: How to turn your talent into a career, which recently won an award in the Business Book Awards 2019. Harriet has some really fascinating things to say about what makes a difference between a creative business that takes off and one that flounders. She also explains how it’s not simply about your talent or the amount of effort you put into marketing. There are lots of important lessons here about how to run any business successfully and how to manage that tricky balance between art and commerce. Saskia Nelson - How I created a new genre of photography.